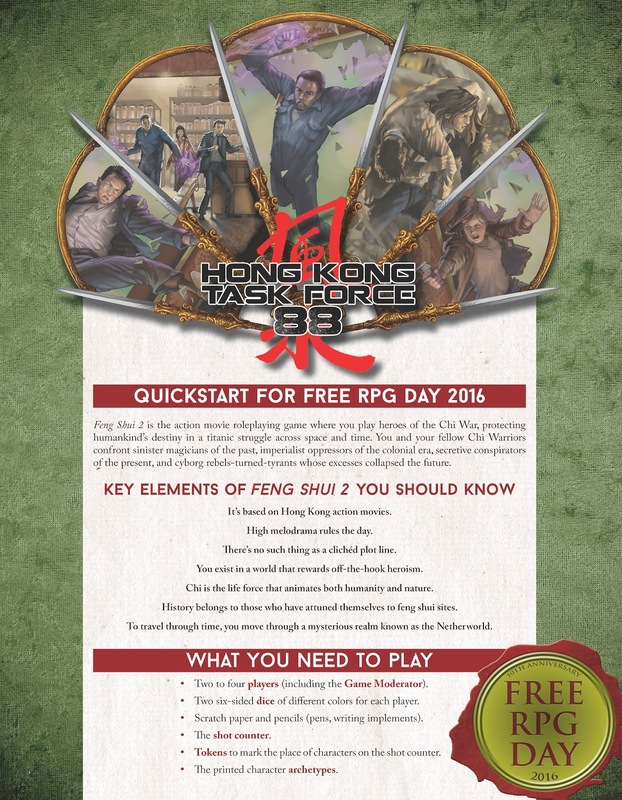 When a badass team of international super-cops arrive on the scene in Hong Kong for Hong Kong Task Force Double Eight, a Free RPG Day QuickStart for Feng Shui 2, the bad guys know it's all over. But for the cops on this special Task Force, it's not just a matter of justice, it's about the friendships and rivalries forged in the process. Only the choices they make in life separate the heroes from the villains in this adventure. The good guys have made all the right choices to be the best of the best... or have they? How much really separates them from the victims and criminals? In Hong Kong-style cop movies, showing off and good-natured competition are the order of the day. Who is the bluest of the blue? What nation's cops has the best stuff? Can a quirky Maverick Cop from Istanbul work with a serious-minded Mystic Cop from Tokyo? It'll take a Task Force in Hong Kong to answer that question and many others. Which of your fellow cops will rise to the challenge, and which ones will end up as dead weight? 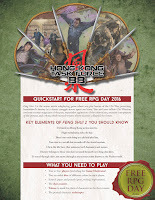 Grab your copy of HKTF88 from your participating local retailer on Saturday June 18 and play to find out!